[German]Microsoft has re-released optional update KB2952664 for Windows 7 SP1 and optional update KB2976978 for Windows 8.1. Both are “snooping” updates for telemetry. I’ve covered both updates already in October 2016 within my blog post Some confusion about Updates KB2952664/KB2976978. Microsoft released those two updates a couple of times within the past. They declare it as ‘compatibility updates’ for Windows 7 and Windows 8.1, but it’s Telemetry updates. Update KB2952664 has been released on February 9, 2017 for Windows 7 SP1 – I received it yesterday on one of my machines (see screenshot below). So, it’s a re-release of an update, that has been issues many times in the past, to force Windows 7 users to upgrade to Windows 10. Since August 2016, Microsoft has removed the GWX upgrade functionality. But the telemetry component is still there and will be extended during each re-release (the size of the package increases). My recommendation: Hide this update and you will be done. Also Windows 8.1 received an optional update KB2976978 (Compatibility update for keeping Windows up-to-date in Windows 8.1 and Windows 8), that’s nothing else as an telemetry update. It can be hidden in Windows Update to, because it’s imho not needed. I’ve just been told of a significant reason why some folks may want to install this new version of 2952664. It looks like the patch is used by the Windows Update Analytics service – and this is their telemetry hook. That’s it. Microsoft has published a Technet article Get started with Upgrade Analytics in August 2016, explaining what telemetry data collection is for. It may be useful for companies, planning an inventory before upgrading many machines to Windows 10. But why Microsoft has re-released those updates again, without giving details? Woody Leonhard has also published this InfoWorld article raising similar questions about he re-release of those updates. He also published at Askwoody this article, pointing to two comments dealing with telemetry data collection in Windows. How to get rid of telemetry in Windows 7 / 8.1? Microsoft has released the following updates containing Telemetry functions – so these updates shall be uninstalled. It requires to take ownership for those files and folders. But note, I haven’t tested it – so you are at your own risk – and we don’t know how long this trick will work. But it’s maybe helpful. 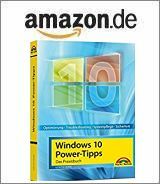 Addendum: Martin Brinkmann has used the information given above and at Ask Woody and wrote a deep dive tutorial to remove telemetry in Windows 7 SP1/8.1. This entry was posted in Update, Windows and tagged KB2952664, KB2976978, Telemetry, Update, Windows 7, Windows 8.1. Bookmark the permalink.